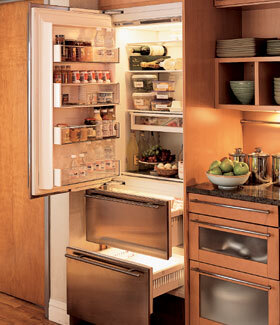 Refrigerator in the top, two freezer drawers below with ice maker and with a mix between a retro and a modern design that would fit any kitchen. The Kohler Pro CookCenter offers all the functions of a standard kitchen sink plus steaming, boiling, poaching, simmering, blanching and other water-based cooking tasks. 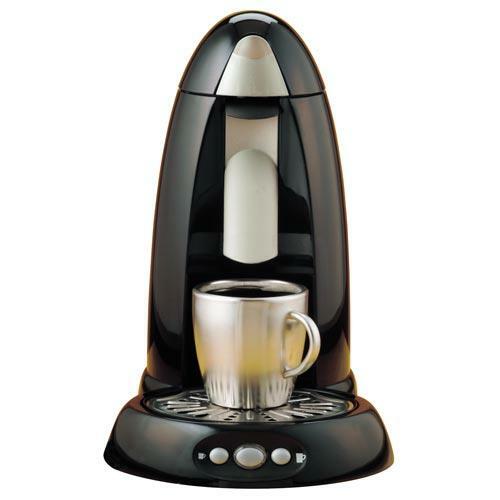 This is one unique pod brewing system that delivers real coffee, real tea, real easy it comes equipped with an iced tea and a hot coffee spout. With this fun item that has an interesting design you’ll be having milkshakes for every meal! 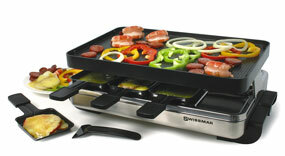 With the Swissmar Raclette Party Grill, having friends over for a dinner party has been so much fun. Instead of cooking in the kitchen for your friends, you can be spending time together in the living room -grilling meats. Perfect mounds of of crushed ice are created instantly for shaken martini’s and other cocktails. The crushed ice can also be used for elegant ice beds for salads and buffets. 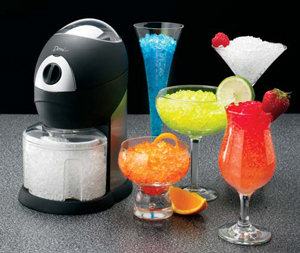 This appliance has extraordinary chopping capacity and chips ice quickly and uniformly. 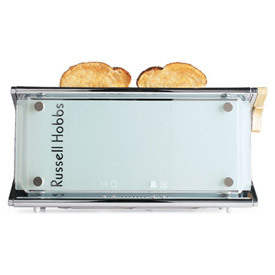 Frosted glass panels give this sleek toaster a glamorous edge. 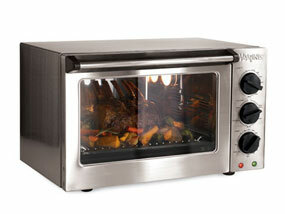 Two long slots feature a widening element for customized toasting. Variable browning control has LED indicator. 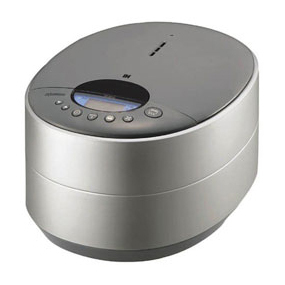 Rice cooker features advanced Neuro Fuzzy logic technology, which allows the rice cooker to “think” for itself and make fine adjustments to temperature and heating time to cook perfect rice every time. 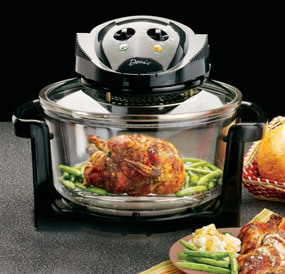 Compact yet so versatile, this combination convection oven is designed to professional standards and offers many options when cooking.